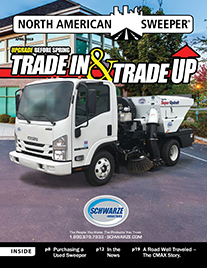 Schwarze Industries, one of the world’s largest street sweeper manufacturers, today introduced the new GS6 Regenerative Air Street Sweeper to the North and South American markets. 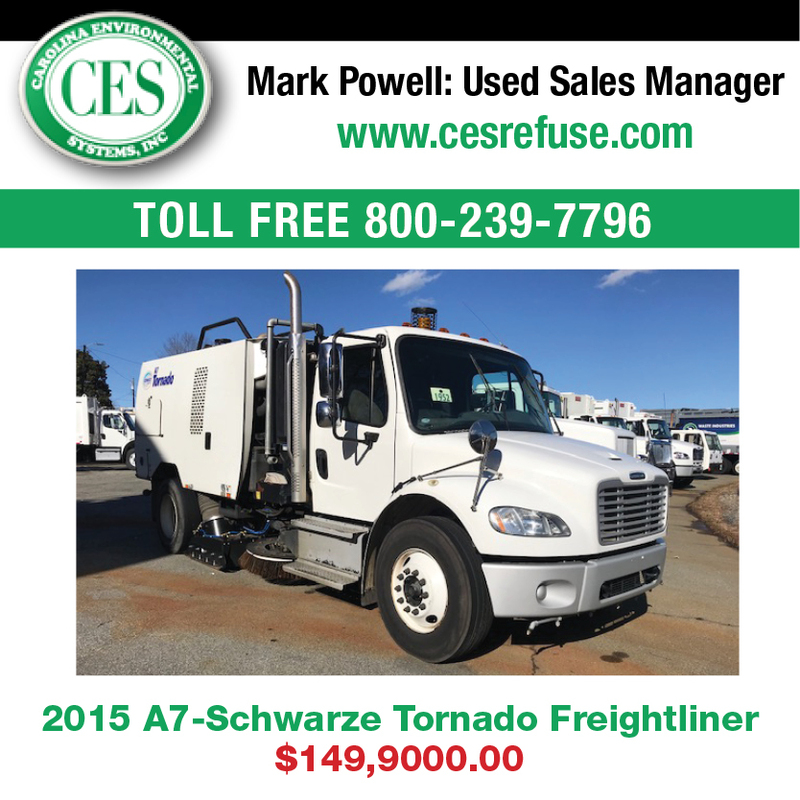 The Schwarze model GS6 is a heavy duty, chassis-mounted, regenerative air sweeper. Engineered with a completely new approach to sweeper frame design, the GS6 can be manufactured without the need for a chassis on site. It can then be shipped in a container to the mounting location for final installation on the chassis. This approach drastically reduces freight costs worldwide making the GS6 more competitive in a global market. 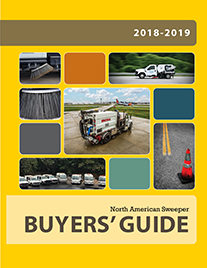 Several industry leading features come standard on the GS6, including Schwarze’s WhisperWheelSM fan system which lets Schwarze air sweepers run more than 70 percent quieter and with up to 20 percent less fuel consumption. 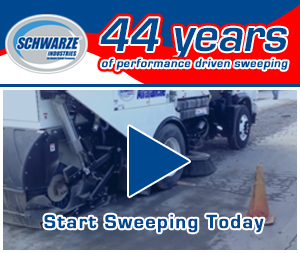 Also included on the GS6 is Schwarze’s industry leading Sweeps-In-ReverseSM feature, allowing operation in both forward and reverse directions. The Schwarze GS6 also comes with LED lighting, standard on all new sweeper products this year, with the exception of the floodlights. While the floodlights are still incandescent, Schwarze is offering an LED option. “The addition of LEDs lowers the overall electric draw and increases the life expectancy of the lights and alternator,” Massey explained. More importantly, the LED lighting has lower maintenance costs. The GS6 generates a high-velocity air column of more than 17,000 CFM propelled through a 14-inch blast tube. 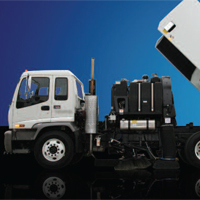 This high-volume air blast loosens debris from pavement surfaces, transporting it into a 7.8 cubic yard hopper via a 14-inch suction tube. This highly efficient system ensures that even hard to reach particles, including a significant amount of PM-10 fines known to contain a high percentage of heavy metals and other pollutants, are removed. The result is a cleaner surface and a cleaner environment. Link to retrieve hi-res (300 dpi) images.